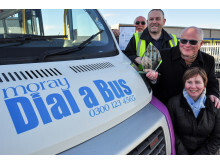 Moray Council’s dial a bus service picked up a top award at the Scottish Parliament this week. 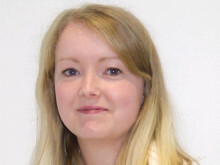 The Dial M for Moray team beat off 170 other applications to scoop the prestigious Campbell Christie Public Service Reform award at a ceremony in the Scottish Parliament building. The awards are supported by the Scottish Government and attract submissions from across all public sector organisations. 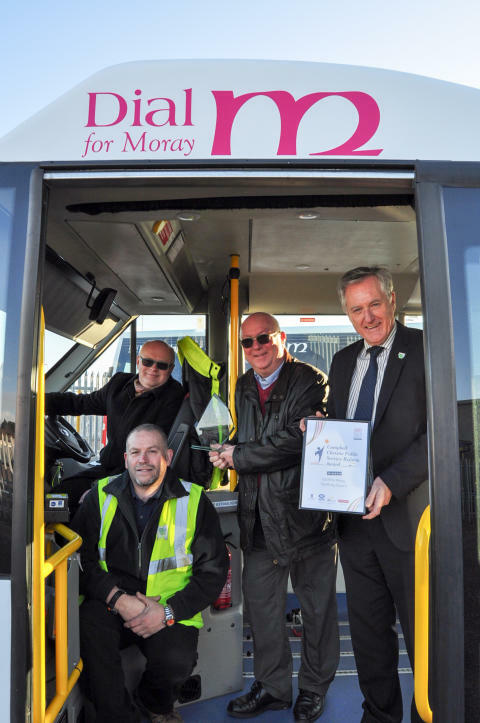 Since 2007 the distinctive buses have gradually replaced subsidised scheduled services in the area, increasing travel options and reducing isolation in many rural areas. It has also saved £170,000 in subsidy costs. 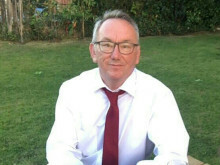 The citation read at the ceremony described the service as ‘unique in Scotland’ and an example of a public service that has developed in response to those using it. 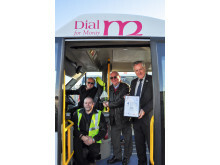 Dial M for Moray has far exceeded the original objectives and now offers best value to Moray taxpayers as a cost-efficient demand-led bus service. Other council areas operate dial a bus schemes but these are predominately urban services covering a small area. From a social care perspective regular elderly customers can be monitored by staff for intervention by health services, and the buses can be used for the promotion of care options and health campaigns. Most recently the original pilot project in Forres was expanded in response to customer demand for access to the new GP surgery. Access to the service has made communities more independent in travel, thus stronger and more sustainable as stand-alone rural settlements. This is evident in the number of local societies and clubs now using Dial M for Moray for outings. We have also extended the service to include non-residents through guest house/hotel bookings, and available to vacationing visitors. More pics in related material section.